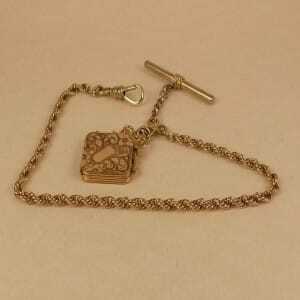 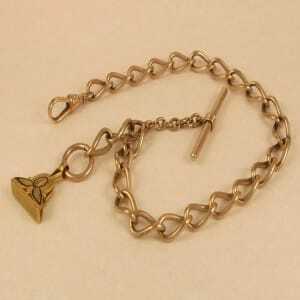 GOLD FILLED POCKET WATCH CHAIN WITH GOLD FILLED LOCKET FOB. 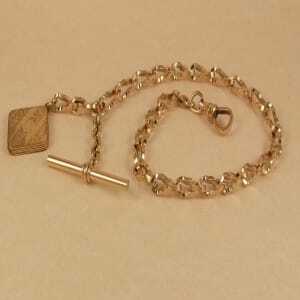 THE CHAIN IS 12 1/2″ LONG INCLUDING THE SWIVEL AND IT WEIGHS IN AT 31.46 GRAMS. 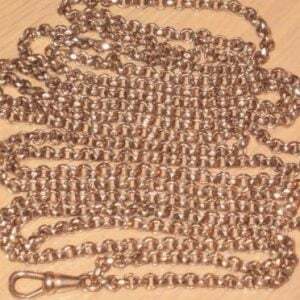 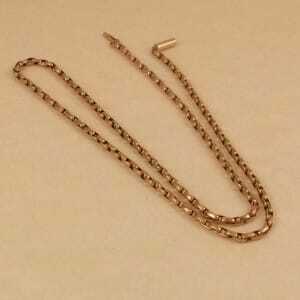 THIS CHAIN IS IN MINT CONDITION, WAS NEVER USED/CARRIED, AND THERE IS NO WEAR AT ALL. 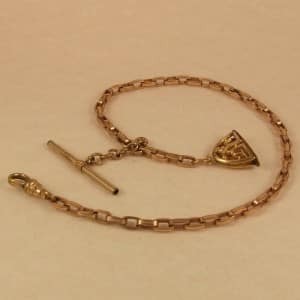 THE FOB OPENS AND CLOSES AS IT SHOULD AND HAS A DROP OF 2 1/4″.